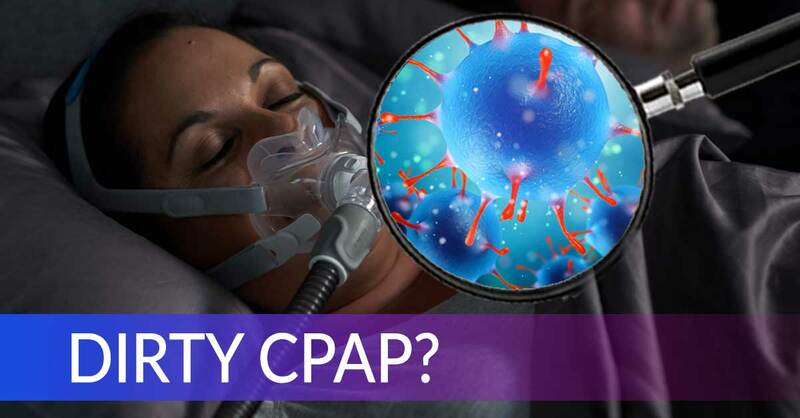 Wearing a CPAP mask isn’t always easy. They can be bulky and make you feel claustrophobic. 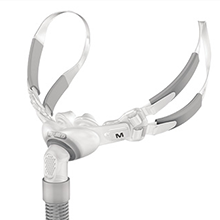 Sometimes the discomfort is so intense, patients give up on their CPAP treatment. Obviously, this is a dangerous choice. 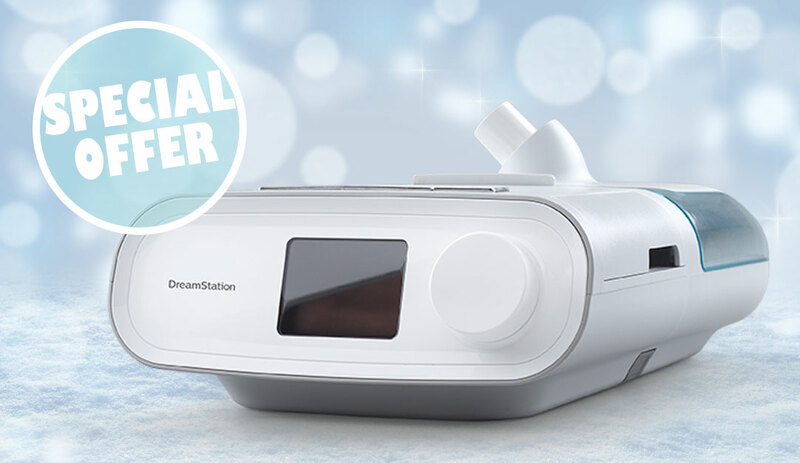 CPAP treatment can be lifesaving and is worth the extra effort. 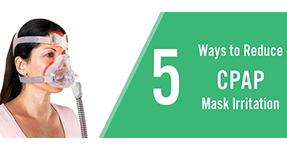 Follow this guide to get comfortable wearing your CPAP mask. The process can take days, weeks or even months. Move from one step to the next when you feel comfortable. 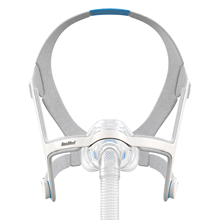 When you get discouraged think of all the reasons wearing a CPAP mask is important. 1. 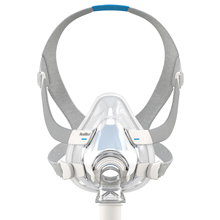 While awake, hold the mask up to your face without the straps or tube for a few minutes at a time. This is good to practice while watching TV or reading. 2. 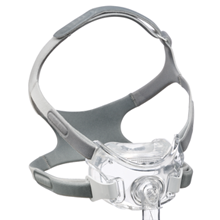 Wear the mask with the straps for short periods of time while awake. 3. 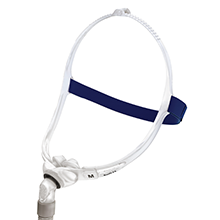 Hold the mask with the tube attached up to your face. Turn the ramp feature on so your machine is at a low pressure. The ramp feature starts the machine at the minimum pressure and gradually increases to your required pressure. 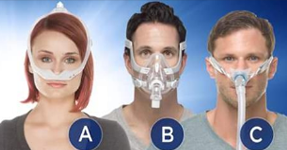 To start the ramp process over, simply turn your CPAP off and back on. 4. Now, wear the mask with the straps while the machine is on and you’re awake. Try your best to relax. Don’t focus on your breathing. Some patients get too focused and start to breathe abnormally or even hyper-ventilate. Relaxation exercises can also help. The video below outlines a slightly modified version of the technique above. 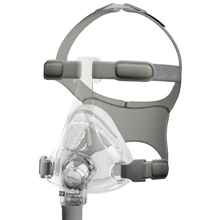 Much of the time, getting comfortable with your CPAP means finding the right mask. If you experience claustrophobia, you want to look for a mask that covers little of the face and offers a clear field of vision. Nasal pillow masks are the most minimal type of mask. 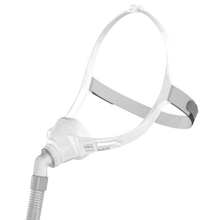 Nasal pillow masks are perfect for CPAP users who can’t stand bulky masks and who get sore from more traditional masks. 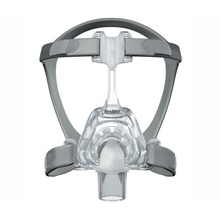 If you sleep with your mouth open and want to try this type of mask, you will need to use a chinstrap with it. 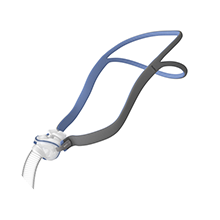 The following models are the most popular nasal pillow masks. Next, you have nasal masks. Instead of going into the nostrils, they cover the nose. Again, if you sleep with your mouth open you need to use a chinstrap. Finally, you have the full face mask. These are the bulkiest of the group, but they are perfect for those who need extra coverage and sleep with their mouth open. Full face masks keep getting lighter and don’t block your vision like they used to. Don’t give up! 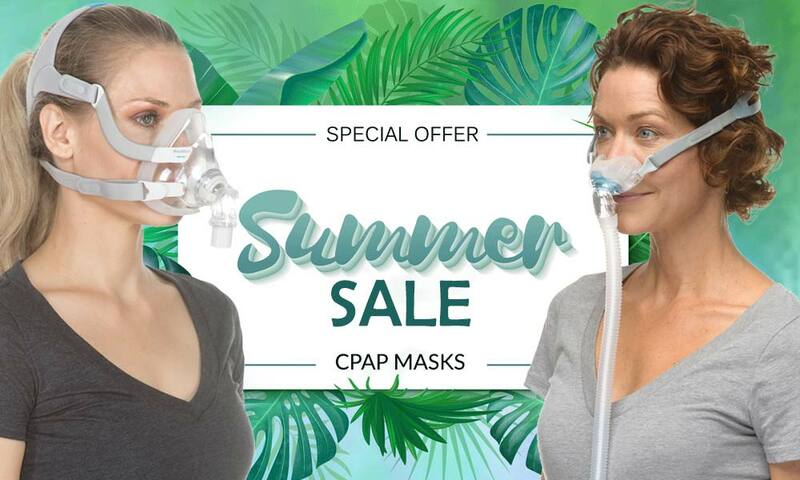 CPAP use is about trial and error. Keeping trying until you figure it out. 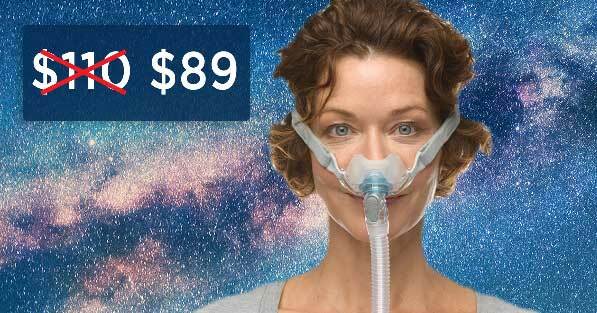 Patients after patients tell us that it was hard to get used to CPAP, but now they can’t live without it. 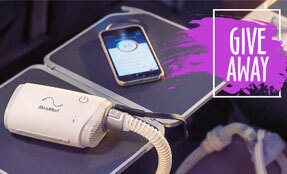 Check out our Facebook page to see what CPAP users like yourself have to say about their CPAP therapy.